Deionized water is water where the dissolved ions have been removed leaving mostly pure water. The minerals dissolved in the water are also removed which is why deionized water includes demineralized water. Deionization appears to have been developed only in the past 100 years when experiments were done that used electrochemical methods to purify water. Deionized water is made by mixing the water with an electrically charged resin containing cations, anions, or both. Through this process, dissolved ions are removed from the water leaving mostly pure water. Although this process removes dissolved minerals from the water, it is not effective in removing bacteria, viruses, or non-charged organic molecules. 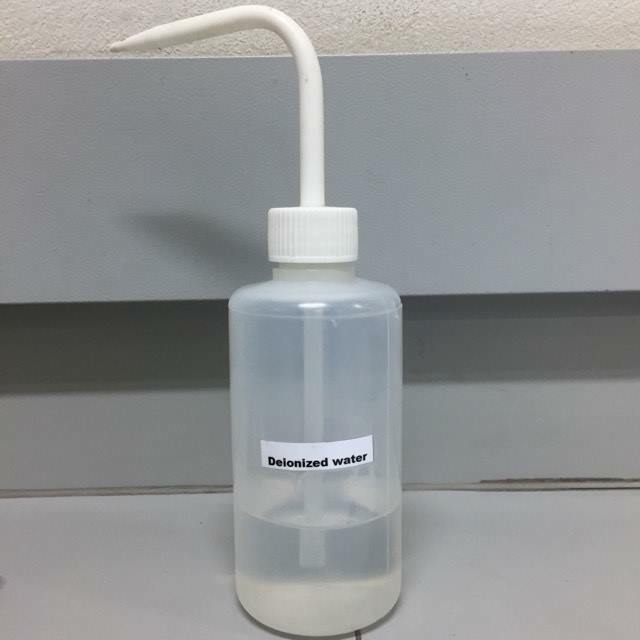 Deionized water is predominantly made using several deionization processes, two of which are counter-current deionization, and mixed bed deionization. Counter-current deionization occurs when the regenerants and the water enter the ion exchange column through opposite sides of the resin bed. This is less expensive and allows for a more thorough mixing. Mixed-bed deionization is used when a 50/50 mixture of anions and cations is added to the water. The cations and anions in the resin combine with the ions already present, removing them. This approach is very cumbersome and expensive, but it produces very pure, high-quality water. Distilled water is water that has been purged of impurities by evaporating it through boiling and then letting it re-condense elsewhere. Any heavy impurities in the water are left behind as the water evaporates. When water evaporates, all the non-volatiles dissolved in the water are left behind, though some volatiles will evaporate with the water. When the water re-condenses in a different container, the water will be closer to pure H2O. This works not only for minerals but also for neutrally charged organic material, bacteria, and viruses in most cases. Distillation, as a result, can also be used to produce clean drinking water, though it is not always advised because distilled water lacks the minerals which can also provide health benefits. Distillation of water has been done in various forms since antiquity. The earliest use of distillation was to make fresh water from seawater while on long ocean voyages. Distilled water is useful in engines such as car engines since water that is not entirely distilled can leave mineral deposits which can cause complications and require regular cleaning. As a result, the use of non-distilled water is not permitted in many coolant systems and other systems requiring water. On the other hand, distilled water can have a negative effect on the environment because it can cause ecosystems to come under stress. Organisms in a given ecosystem will be adapted to a particular concentration of minerals and other impurities in the local water source. This is especially true of aquatic plants and animals. Distilled water could alter the concentration of minerals in the water to which the ecosystem is adapted which will force the ecosystem to re-adapt. As a result, distilled water has pros and cons. It is relatively devoid of impurities and can be used to make drinking water. It is also suited for use in engines, but it can also affect the environment in a potentially negative way and removes the health benefits of having certain minerals in water. Distilled and deionized water are both purified water where heavier impurities have been largely removed. They are also generally more expensive than unpurified water and have specialist functions for which unpurified water is not entirely suited. Although there are some similarities between deionized water and distilled water, there are also some differences which include the following. Distillation of water can purify water of un-charged organic compounds as well as bacteria and viruses. Deionization of water will remove minerals but not neutrally charged organic compounds or microbes that would be potential pathogens. Distilled water has been used since antiquity whereas deionization of water began to be used only within the last hundred years. Distilled water is made through a change of phase whereas deionized water is made without a change of phase. Deionization of water involves mixing whereas distilled water simply involves the evaporation and re-condensation of water. 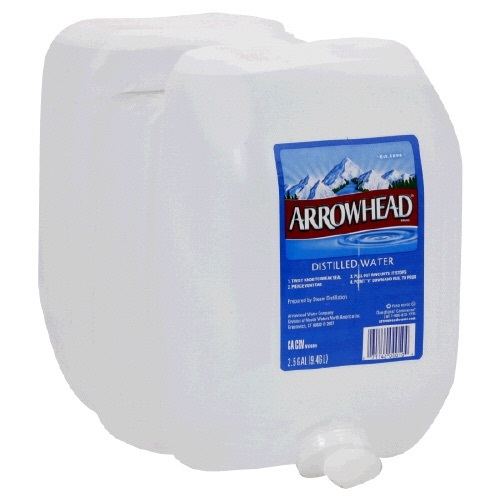 Distilled water is water that has been evaporated through boiling and the re-condensed in a separate container. When the water evaporates, non-volatiles are left behind which can create mineral deposits. For this reason, distilled water is often used in car engines and coolants systems to prevent the systems from being clogged by precipitation of minerals. Drinking water is also distilled since the distillation of water can also remove most bacteria and viruses that may be contaminating a water source. It is also more effective in removing other inorganic toxins such as certain heavy metals. On the other hand, the introduction of distilled water can also disrupt an ecosystem since it will offset the mineral concentration to which the local ecosystem is adapted. Deionized water is water that is cleansed of minerals and other impurities through mixing it with a resin which removes the anions and cations dissolved in it. It is made through multiple deionization processes including counter-current and mixed-bed deionization. Counter-current is the least expensive, but mixed-bed is the one which produces the purest water. Deionization and distillation both produce water that is especially pure for specialized purposes. They are however different. Deionized water will not remove neutral organic compounds, bacteria or viruses whereas distilled water will purify the water of those things. Furthermore, distilled water requires a change of phase from vapor to liquid and back to liquid and no mixture with chemicals whereas deionized water requires a mixture with chemicals but no change of phase. Caleb Strom. "Difference Between Deionized and Distilled Water." DifferenceBetween.net. 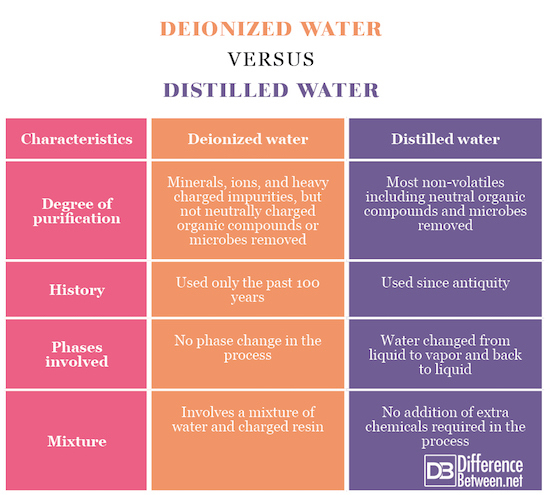 May 29, 2018 < http://www.differencebetween.net/science/difference-between-deionized-and-distilled-water/ >. Jande, Y. A. C., and W. S. Kim. "Desalination using capacitive deionization at constant current." Desalination 329 (2013): 29-34. Collentro, William V. Pharmaceutical water: System design, operation, and validation. CRC Press, 1998. BLAIR, JOHN W., and GEORGE W. MURPHY. "Electrochemical demineralization of water with porous electrodes of large surface area." 1960. 206-223. Fairley, T. "The early history of distillation." Journal of the Institute of Brewing 13.6 (1907): 559-582.